Callista shares her time between the Pacific Northwest and California with her charming husband and boisterous English bulldog. After graduating from Syracuse University and gaining over 10 years of experience in fashion with companies such as Nordstrom and Michael Kors, Callista began coordinating weddings and events. While training under the best in the business, Callista fell in love with the industry and earned invaluable experience as the Associate Director of Events at the iconic Fairmont Miramar Hotel. 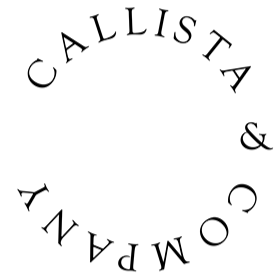 Callista & Co. launched in 2012 and has successfully managed over 100 events, from grand weddings and dazzling galas, to intimate dinner parties, and everything in-between.